Let’s face it. These days, as soon as you have one version of some type of software, it seems like a new version becomes available. That’s not quite the case, but new things are released regularly, and you may be confused about what you actually have on your computer. In fact, plenty of people in your shoes have contacted a computer help service because they had no idea if they needed to get an update or not. When it comes to Internet browsers, it is especially important that you know what version you have. That’s because certain websites, features, and controls will only work on certain versions of the main browser options. So, if you use Internet Explorer, you need to know what version you have, and you don’t have to contact computer support to find out. Look for a gear icon at the top right of the screen. If you have an older version of Internet Explorer, you may need to click help at the top of the screen. Next, click About Internet Explorer in the menu that appears. 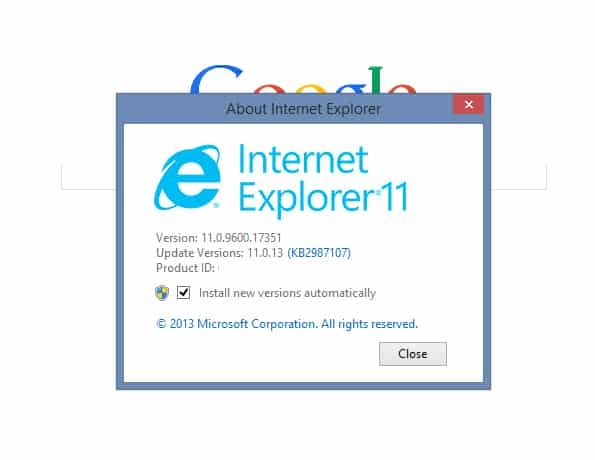 You will see a screen that shows you the Internet Explorer logo along with the version you have on your computer. It will be listed directly below the logo. If you want to make sure you always have the newest version of the browser, then you can also check a button on that screen that will ensure new updates are applied automatically. That way, you don’t have to worry about updating anything yourself, or calling computer repair services to help you with manual updates. Did you know that Internet Explorer actually works as more than just as a browser? Windows Update actually uses this browser to send patches and repairs that your machine needs. This is yet another reason why it is so important to keep the browser up to date. If it is out of date, then your machine may be missing important patches that are designed to protect its safety. 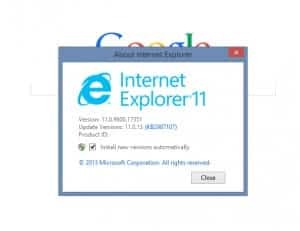 At this time, the newest version of Internet Explorer is 11, so if you have that one, then you are up to date. If you do not, then it would be time to run an update on your machine and get things to the present. If you have any trouble updating Internet Explorer or you feel that something else is wrong with your machine, then do not hesitate to contact computer help. You definitely want to get things repaired and back on track as soon as possible. DavesComputers.com specializes in a variety of different computer problems, including hard drive recovery and much more. So, when your machine just isn’t acting right, and you don’t know what else to do, then contact us today. We will be glad to assist you. If you found this article helpful, please be sure to share it.